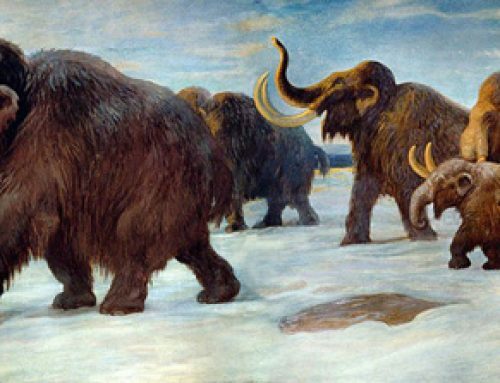 Our thanks to the very talented Paleo Paul who sent us in a couple of pictures of his latest prehistoric scene that he had created. A Pterosaur looks down on the meal of a Spinosaurus, a giant fish that this sail-backed reptile has just caught for itself. We really appreciate all the pictures, drawings and images we get sent and yes, we do look at them all and respond to all those that request a reply. 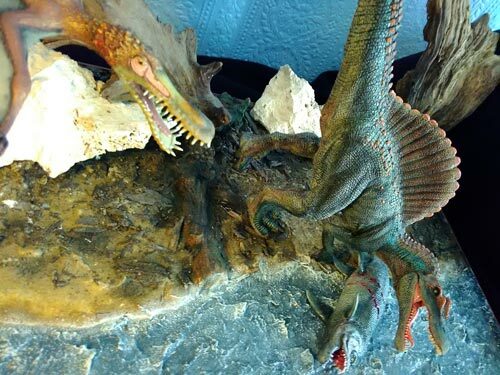 Papo Spinosaurus and Schleich Anhanguera Pterosaur models re-painted and modified. The spinosaurid is a re-painted and re-modelled Papo Spinosaurus and very splendid it is too. The Pterosaur flying over the scene is a Schleich Anhanguera replica, which also has had a makeover by Paleo Paul. It is always a challenge to paint water well and we commend the artist for this excellent effort, the Spinosaurus really does look at home on the shore. Thanks for sending in these pictures, we too get a big buzz out of seeing such well-constructed dioramas.